The new features in Windows 10 are designed to optimize your workflow and make your life a little easier. Fully leveraging these features, however, requires the uncomfortable practice of compromising your privacy. While we would like to believe that Microsoft has only the best intentions at heart, we also know that if a nefarious player gains access to the company’s data, your information is at risk. With any operating system it’s up to you to decide what level of compromise you’re comfortable with. How much data are you willing to share in order to utilize time-saving features like Cortana or Timeline? And how many features are you willing to live without in order to protect your privacy? In a follow-up to our last post that detailed 14 Windows tips and tricks, we’ve dug into the biggest Windows 10 privacy concerns and how to mitigate the risks without sacrificing too much convenience. Learn more about Microsoft’s commitment to your privacy here. As you customize your privacy settings in Windows 10, Microsoft’s Privacy Dashboard will function as your primary control panel. To get there, go to Start → Settings → Privacy. Within this dashboard, you’ll be able to turn off ad targeting, limit data gathered by Cortana, clear your search history, location tracking, and more. Before you start restricting Microsoft’s access to your all your data, it’s important to consider how your privacy settings will affect your Windows 10 experience. Do you use Cortana for navigation support when traveling? What apps do you use and what level of access do they require to function properly? (For example, some apps require access to your camera or microphone.) Keep usability in mind as you decide how much data you’re willing to share. Once you’ve thought through how increasing your privacy could impact your favorite Windows 10 features, it’s time to restrict access wherever possible. 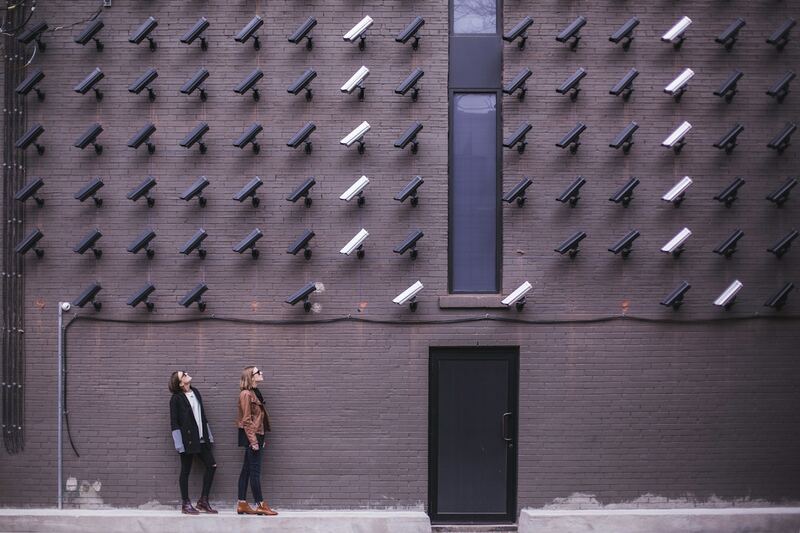 Below are some of the most popular privacy settings that will strengthen security without completely sacrificing convenience. This is a lot of personal info. In the age of data breaches like the Cambridge Analytica scandal and Equifax Breach, it’s hard to trust any company with this much personal data. While we think Cortana has a lot to offer, not all of it is worth giving up your privacy. So how much data should you share with your new virtual assistant? Here’s our recommendation: Go ahead and severely restrict Cortana’s access to your information—at first. The only exception is location if you rely on her for navigation. Everything else like your calendar, contacts, browsing history, and communication history from messages, apps, and notifications go ahead and restrict. If you ask Cortana to do something that requires more data than is currently allowed, she will request permission to access that data. From there, you can decide to grant or deny access as you see fit. We know this isn’t a perfect solution but it’s also impossible to provide blanket recommendations without knowing how you use Windows 10 for your business and personal life. The best way to protect your privacy without sacrificing features is to understand how Cortana uses your data. To help you do this, Microsoft has compiled an in-depth look at the privacy practices related to Cortanta. You can also see what Cortana knows about you through your Notebook. From Notebook, click in the Search box next to the Windows start button and then click the square icon with a little circle on it. This is an easy one. Unless you just love seeing ads that are highly relevant to your preferences and recent search history, go ahead and turn off ad tracking. The main purpose of ad tracking is to allow Microsoft to show you ads that you’re more likely to be interested in. To do that, they collect data like your location, web searches, web pages you view, demographics, and things you’ve favorited. It’s important to note that disabling ad tracking won’t reduce the number of ads you see. You will simply no longer see targeted or personalized ads. To learn more about ad tracking and how to disable it, read this post. Location tracking is a bit less black and white. While many people prefer not to divulge their every move to big corporations like Microsoft, turning this setting off also turns off navigation services. For most of us, navigation is high up on the convenience list so we’re willing to compromise on privacy. Driving in an unfamiliar city is just far easier and less stressful with software like Cortana guiding the way. Open Cortana’s home from the search box on the taskbar. Go to Cortana’s Settings and select Permissions & History. It’s important to note that some of your location data may still be tracked by other apps and services. To completely disable location tracking you must update your privacy settings across connected apps and services. Under Privacy Activity history disable the option "Filter activities from accounts" for your Microsoft Account. While you can certainly restrict data access even further, the above privacy settings are a good start for most small and medium-sized business owners. If you’re still concerned about what data Windows is collecting and how they’re using it, you can always contact their privacy team. If you prefer an outside consultant, feel free to reach out to our experts for a free IT consultation.